Adam Sobel’s Cal Mare Brings the Amalfi Coast to L.A. Many American cities have a surplus of good Italian restaurants, but what’s largely been missing are grand-scale Italian seafood restaurants. Now it’s chef Adam Sobel’s turn to dip his toes in the crustacean-filled water. Cal Mare, the L.A. restaurant he’s opening with Michael Mina’s Mina Group on Tuesday evening, is very much aiming to be a dining destination that evokes the Amalfi Coast. “The goal when someone walks through that door is to have them feel like they’re transported to Positano,” Sobel says. The goal is also to turn a shopping center into a dining destination. Cal Mare is part of the Beverly Center’s $500 million revamp. 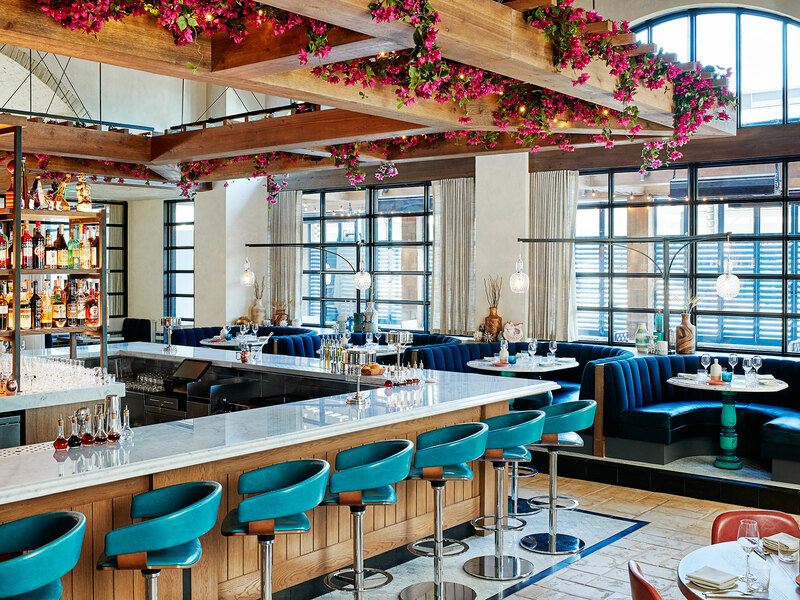 Cal Mare is the first piece of a high-profile dining collection that will eventually include John Kunkel’s Yardbird, Alvin Cailan’s Eggslut and a Mina-curated food hall known as The Street. 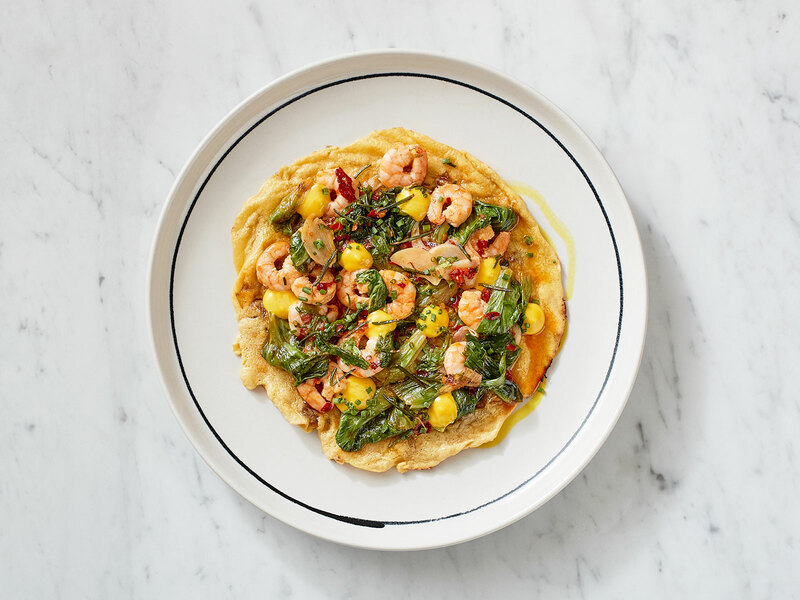 Sobel say he was inspired by the energy, A-list crowd and menu format of Marea when he created Cal Mare, which grew out of dinners at the Mina Test Kitchen pop-up space in San Francisco. And Sobel, who was a force at Bradley Ogden, Restaurant Guy Savoy and RM Seafood in Las Vegas before running the kitchen at Mina’s Bourbon Steak in Washington D.C. and Mina’s RN74 in San Francisco, says the greatness of Bartolotta can’t be understated. Fans of that restaurant will be happy to know that Sobel has figured out how to tap into Bartolotta’s elusive network of fisherman. “We’re going to be using some of that stuff down the road,” says Sobel, who admits he doesn’t know Bartolotta’s secret langoustine supplier but will be able to get hard-to-find Mediterranean fish and lobsters. That said, the thing to understand about this kind of Italian seafood restaurant is that it’s about premium ingredients but also simple preparations. It’s about grilling whole fish and making rustic pastas and letting seafood and vegetables shine on their own. It’s not about manipulating ingredients or being avant-garde. Sobel knows that cooking Italian seafood the right way is about restraint. “As far as restraint, the only thing I didn’t have restraint with was a writing a big menu,” Sobel says with a smile. It’s understandable why he has about 50 different menu items, though. This menu is based on what Sobel, who has Sicilian and Neapolitan grandparents and grew up in an Italian-American family on Long Island, likes to eat. And there are a lot of things he enjoys. So you can start your Cal Mare meal with some spuntini like crispy blowfish tails or a version of his grandmother’s stuffed peppers, which Sobel started learning how to cook when he was four or five. The calamari ripieni, stuffed Monterey Bay squid with Calabrian ’nduja and Valencia orange, is a good example of how Cal Mare is sourcing ingredients both locally and from Italy. There are six crudo on the menu, along with a selection of caviar and mozzarella. The antipasti section includes a tricolore salad that is actually made with seven different types of bitter greens that are bought separately from the farmers' market. Cal Mare, with seats for 185 guests between its main dining room, bar, patio and private dining room, is 8,000 square feet. Nearly half of the space is an open kitchen. So diners can see brick-oven pizzas, like a clam pizza and a potato carbonara pizza that Sobel says made his knees buckle during a recent tasting, being cooked. Sobel says his eye’s been twitching because he’s so nervous and excited about opening Cal Mare. He knows he has a dream kitchen and a dream team, including chef de cuisine Joe Sasto III, who was recently announced as a Top Chef contestant. Cal Mare is making all of its pasta by hand, too. “Joe Sasto is the pasta maestro, and I’m pretty good,” Sobel says. There’s agnolotti with Dungeness crab, white truffle butter, butternut squash and sea urchin. There are also soul-warming pastas for carnivores, like a ricotta cavatelli with spicy tripe and pancetta. 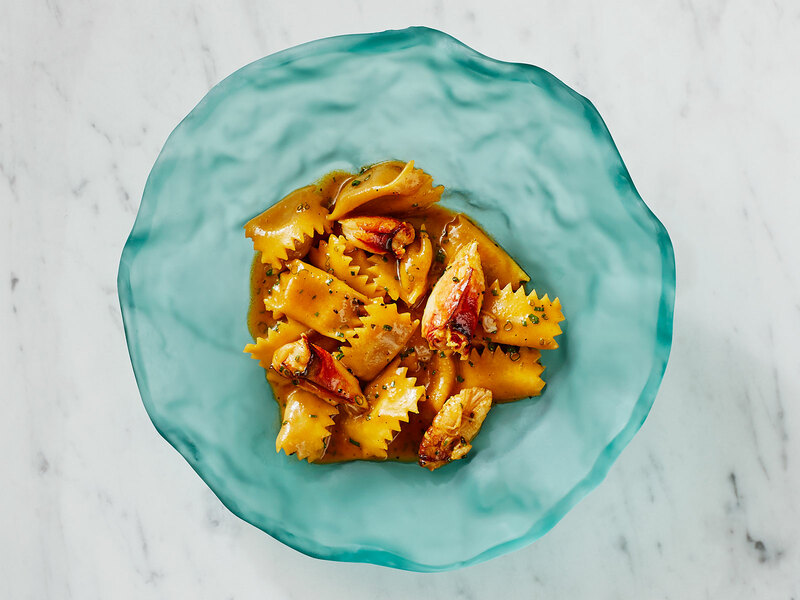 For gemelli with chestnuts, Cal Mare makes a ragù featuring duck liver, skins and legs. And then there are the grilled fish and shellfish. There will always be three whole selections that are filleted tableside and three cut-to-order options. They will be sourced from both the United States and the Mediterranean. On any given night, for example, you might be able to order Pacific swordfish and Maine lobster or Adriatic sole and Mediterranean turbot. But there is a big difference between what Sobel is doing and the experience of dining at Bartolotta or Marea. Cal Mare isn’t trying to be a restaurant that’s built around vacation budgets or expense accounts. Sobel wants guests to feel like they’re in a place they can visit regularly: maybe for a margherita pizza at the bar one night and to share some $20 pastas and a $36 order of orata another night. It's not a place that expects customers to drop $200 per person for dinner. So this is what it comes down to for Sobel. He’s cooked at formal restaurants in cities that favor fine dining. He’s bringing Italian seafood to Los Angeles. But he knows that what he’s ultimately doing is running an L.A. restaurant.